Dr. John Klir is an American trained MD/PhD medical scholar with combined experience of more than 25 years in academic medicine, medical research, clinical medicine, and administration. After obtaining his undergraduate degree in life sciences from Cornell University, Dr. Klir pursued his further studies and obtained his PhD degree in physiology from University of Illinois, and his MD degree from Saba University School of Medicine. 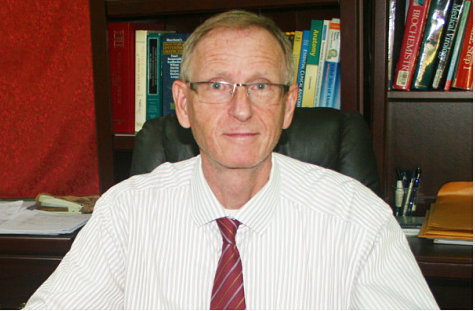 After completing his studies, Dr. Klir continued with postgraduate training in both, medical research and clinical medicine. He trained at University of Michigan School of Medicine under mentorship of world renowned medical scholars in areas of immunopathophysiology, namely roles of pro-inflammatory cytokines as immune mediators during fever generation as a part of acute-phase response to infection. Dr. Klir’s continued work resulted in significant contribution to area of cytokine research, as evidenced by multiple publications and presentations at different international conferences. The main interest of Dr. Klir continues in areas of pro-inflammatory mediators, their role during development of different diseases, and development of treatments. During his work, Dr. Klir has been associated with various institutions, including University of Michigan Medical Center, Lovelace Biomedical Institute, University of Missouri, USDA-ARS, Pennington Biomedical Institute, University of Kansas School of Medicine, and Underwood Memorial Hospital. Chronic obstructive pulmonary disease (COPD) is a slowly progressive condition with high morbidity and mortality. Inhaled irritants are linked to COPD development, with cigarette smoke being the important factor. Manifestation of COPD includes two main components, emphysema and chronic obstructive bronchitis. An important feature is persistent inflammatory process, characterized by involvement of many immune cells, including neutrophils, macrophages, T lymphocytes, B lymphocytes, and eosinophil’s. Activation of these cells is mediated by different immune mediators. Several pro-inflammatory cytokines play important roles during development and progression of COPD. Cytokines identified as pathophysiological mediators of COPD are interleukin (IL)-1?, IL-6, tumor necrosis factor TNF-? interferon (IFN)-?, IL-8, IL-17, IL-18 and IL-32. Cigarette smoke can directly activate multiple cells, including cells such as pulmonary macrophages and bronchial epithelial cells, resulting in release of pro-inflammatory cytokines. Increased levels of these cytokines result in activation and recruitment of inflammatory cells, leading to inflammation and eventually to pulmonary tissue destruction. Numbers of immune cells reactive to IL-1? are increased in bronchial biopsies from patients with stable COPD along with elevated IL-1? levels in sputum, bronchoalveolar lavage and serum. Systemic and local levels of IL-6 are elevated in patients with stable COPD. IL-6 may also significantly contribute to progression of COPD by playing an important role in autoimmune response in patients with more severe stable COPD. TNF-? activates immune cells and bronchial epithelial and smooth muscle cells to release inflammatory mediators, such as oxidants, resulting in progressive airway remodeling. Sputum levels of these cytokines are elevated in patients during COPD exacerbation. 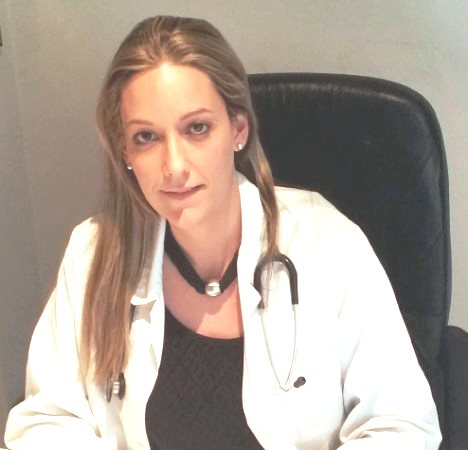 Dr Marousa Kouvela is a Pulmonologist. She completed her residency in one of the largest general hospitals in Greece and achieved her speciality board degree in 2013. She has completed her Master of Science in Thoracic Oncology. She has participated in many Natiaonal and International scientific and educational seminars, and published in national and international journals. Her special scientific interests are COPD, lung cancer and interventional pulmonology. She currently work as a Medical Manager Respiratory in Boehringer Ingelheim Ellas, Greece. Bronchodilators play a central role in COPD treatment. At the end of the previous year, the GOLD (Global Initiative for Global Obstructive Lung Disease) strategy for the diagnosis, management and prevention of COPD has been updated and published with several changes. One of the most important changes was the shift of the treatment recommendations toward the maximization of bronchodialative therapy to all COPD patients and the restriction of ICS use to more specific patient groups, although, the ICS overuse continues to be an issue to many countries worldwide. The direct comparison of inhaled LABA/LAMA combinations to the nanocomponents or a LABA/ICS combination shows superiority of the LABA/LAMA combination in case of lung function, symptoms and quality of life. Recently, there has been a question whether a LABA/LAMA combination is equally or even more efficient than a LABA/ICS combination therapy in the prevention of COPD exacerbations. Another question that needs to be clarified is how safe is to withdraw ICS from the patients that do not need them and how this is applicable in everyday clinical practice. It seems that a LABA/LAMA combination is very efficient and safe treatment option to all COPD groups and it should be applied from the beginning of COPD treatment. The efficacy of the double bronchodilation is mainly attributed to the reduction of the lung hyperinflation, the enhancement of mucociliary clearance and their anti-inflammatory properties. Moreover, it seems that the simultaneous administration of two bronchodilators offers a synergic action to the lungs. Doctor specialized in internal medicine with training and experience in the treatment of critically ill patients. Active number member of the Colombian Association of Critical and Intensive Care Medicine. Accredited by the American Society of Critical Care as a supplier of Fundamental Critical Care Support. Science director of the leading group of ARDS UCI Honda. Chief Editor of the Science Publishing Group/ Science Clinical Journal Medicine. Publishing member of the Editorial Board Significs Online Publishing, International author Journal Lung, Pulmonary and Respiratory Research. International reviewer pulmonary and respiratory medicine omics international. Elsevier author at the Critical medicine colombian act, FUCS academic reviewer. During pulmonary embolism, the physiology of the ventilation and the perfusion is damaged. A sudden massive increase of the intrapulmonary shunt might result if the clinical setting is not adequately implemented to regulate the inflammatory process. For this reason, the mechanical ventilation protective and the tracheal gas insufflation are useful tools in modulating the injury and the hypercoagulability caused by protein C and S and the deficiency of antithrombin III. All cause damage of the endothelial barrier, therefore gives origin to interstitial leakage, tissue damage, inflammation and apoptosis. 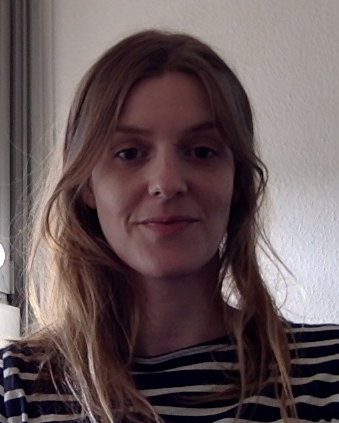 Laetitia Seguin is currently working as a postdoctoral fellow in C Feral Laboratory Epithelial homeostasis and tumorigenesis at IRCAN, France. She has published many papers in the reputed journals with the eminent authors. She has a great publication in the peer reviewed conference proceedings also. Identifying the molecular basis for cancer cell dependence on oncogenes such as KRAS can provide new opportunities to target these addictions. Here, we identify a novel role for the carbohydrate-binding protein galectin-3 as a lynchpin for KRAS dependence. By directly binding to the cell surface receptor integrin ?v?3, galectin-3 gives rise to KRAS addiction by enabling multiple functions of KRAS in anchorage-independent cells, including formation of macropinosomes that facilitate nutrient uptake and ability to maintain redox balance. Disrupting ?v?3/galectin-3 binding with a clinically active drug prevents their association with mutant KRAS, thereby suppression macropinocytosis while increasing reactive oxygen species to eradicate ?v?3-expressing KRAS-mutant lung and pancreatic cancer patient-derived xenografts and spontaneous tumors in mice. Our work reveals galectin-3 as a druggable target for KRAS-addicted lung and pancreas cancers and indicates integrin ?v?3 as a biomarker to identify susceptible tumors. There is a significant unmet need for therapies targeting KRAS-mutant cancers. Here, we identify integrin ?v?3 as a biomarker to identify mutant KRAS-addicted tumors that are highly sensitive to inhibition of galectin-3, a glycoprotein that binds to integrin ?v?3 to promote KRAS-mediated activation of AKT. Daniela Buklioska Ilievska is currently working in the Department of Pulmonology and Medicine at General Hospital, Skopje. She has completed her graduation from Medical Faculty at University “Ss. Cyril and Methodius” and a specialist of internal medicine. She is pursuing PhD with the ongoing research about “cardiovascular comorbidity at patients with chronic impeding respiratory organ disease”. She has the skills in the field of diagnostic and therapeutic bronchoscopy, Chest ultrasound, diagnostic and therapeutic thoracentesis. Introduction: Cardiovascular comorbidity is the main reason for hospital admission and mortality in COPD patients, especially in mild-moderate stage of the disease. Aim: To evaluate both right ventricle (RV) and left ventricular (LV) function in patient with COPD by echocardiography and its correlation with the severity of the disease. Material & Method: 60 patients with COPD and thirty healthy subjects were assessed by echocardiography and pulmonary function test. Results: LV parameters were similar in both groups, while RV parameters were significantly higher in COPD patients. Mild, moderate, severe and very severe COPD were seen in 6.66%, 35%, 36.67%, 21.67% respectively, with mean forced expiratory volume in 1s (FEV1%pred) 47.52±17.92%. RV systolic dysfunction in moderate, severe and very severe COPD was present in 47.61%, 59.09%, 53.84% to the number of patients in that stage accordingly. Pulmonary hypertension (PH) was observed in 33.33% of all patients. The presence in different stages was 23.8%, 41%, 46.15%, in moderate, severe and very severe COPD respectively. Impairment of LV diastolic function in moderate, severe and very severe COPD was present in 14.28%, 54.54%, 23.07%, according to the number of patients in that stage. Enlarged left atrium was measured in 42%. Tricuspid regurgitation was the most frequent valvular abnormality, observed in 66.67%. LV systolic function was significantly higher in healthy subjects compared to COPD patients 63.73±1.90% vs. 57.43±6.93%. PH was not detected in the healthy subjects. Conclusion: There is high prevalence of PH, RV systolic dysfunction and tricuspid regurgitation in COPD patients and severity increases with level of severity of COPD. 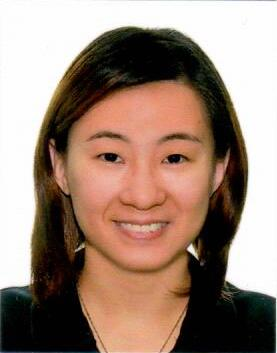 Esther Ern-Hwei Chan is graduated with an MA in Genetics from University of Cambridge and MBBS from Imperial College, London in 2014. She obtained her membership to the Royal College of Surgeons, England (MRCS) in 2015. She is currently working as a junior doctor in Singapore. She has published more than five papers in reputed journals and has presented posters and oral presentations at multiple conferences both locally and internationally. Introduction: Secondary spontaneous pneumothorax (SSP) commonly afflicts patients with chronic obstructive pulmonary disease (COPD). Indications for surgery remain unclear as these patients often have other co-morbidities which increase risk of surgery as well as concerns of prolonged air-leak. The use of reinforced surgical stapler reloads (RSSR) is one of the methods proposed to decrease incidence of air-leak. We report outcomes following the use of RSSR in SSP patients with COPD. Methods: All COPD patients with SSP who underwent surgical management with the use of RSSR in a single-institution from May 2015 to May 2017 were included. Demographic and clinical data were collected retrospectively. Results: 28 patients with a mean age of 69 (51-93) years were included. All patients were male and smokers with an average smoking pack-years of 45.6 (20-100). One patient had co-existing interstitial lung disease and six had previous or current lung tuberculosis. All patients had intra-operative pleurodesis, either talc (50%), abrasion (7%) or both (43%). Median immediate air-leak measured by a digital-drainage-system post-operatively was 300ml/ min (0-3300). Median duration chest tube in-situ was 7 (2-36) days, with 10 (35.7%) patients discharged home with chest tube in-situ. Fifteen (53.6%) patients had prolonged air-leak (more than five-days). Post-operative complications include 6 (21.4%) patients with pneumonia, 2 (7.1%) requiring ventilator support for more than 48-hours and 2 (7.1%) requiring reintubation. There were four 30-day mortalities; in all the cause-of-death was pneumonia. There was an additional mortality at 90-days due to pneumonia. Conclusion: In our study, the use of RSSR does not decrease the incidence of prolonged air leak in COPD patients with SSP. Nade Kochovska Kamchevska is currently working at PHI General City Hospital in the Department of Pulmology and Allergology, Pariska Str, 1000 Skopje, Macedonia. She was post graduated in Centre for Non-specific Pulmonary Diseases – Oteshevo, R. Macedonia. PHO “neuromedica” – Skopje, R. Macedonia. Introduction: Cardiac supraventricular and ventricular arrhythmias are common in chronic obstructive pulmonary disease (COPD), especially in acute exacerbations. Hypoxemia and cardiac autonomic dysfunction which are present in COPD are important in the development. Aim: To estimate the prevalence and types of arrhythmias in stable COPD and their correlation with the severity of the disease. Material & Methods: Cross-sectional study was conducted in period of two years in 70 patients with stable COPD diagnosed according to GOLD’s criteria (Global Initiative for Obstructive Lung Disease). Pulmonary investigation (spirometry, gas analysis, chest X-ray) and 24 hours holter monitoring with Schiller ECG Holter Recorder was performed in all subjects. Results: The most common were atrial pair and atrial premature beats in 49 (70%), a trial run in 21 (30%), ventricular premature beats 28 (40%), ventricular couplets 7 (10%), atrial fibrillation in 14 (20%) in COPD patients. Supraventricular arrhythmias were more frequent as increasing COPD severity: 30%, 50%, 60%, 70% in GOLD 1,2,3,4, respectively. With chi-square test we concluded that frequency of ventricular arrhythmias did not correlate with the severity of the disease and they were detected in 28 (40%) of the patients. Patients in respiratory acidosis with pH<7.35 had more ventricular disturbances than those with pH 7.35-7.45. Conclusion: 24-hour Holter monitoring enhances the possibility of observing cardiac rhythm and detection of arrhythmias in asymptomatic patients with COPD. Dr. Wassil Nowicky — Dipl. Ing., Dr. techn., DDDr. 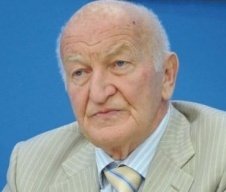 h. c., Director of “Nowicky Pharma” and President of the Ukrainian Anti-Cancer Institute (Vienna, Austria). Has finished his study at the Radiotechnical Faculty of the Technical University of Lviv (Ukraine) with the end of 1955 with graduation to “Diplomingeniueur” in 1960 which title was nostrificated in Austria in 1975. Dr. Wassil Nowicky became the very first scientist in the development of the anticancer protonic therapy and is the inventor of the preparation against cancer with a selective effect on basis of celandine alkaloids “NSC-631570”. He used the factor that cancer cells are more negative charged than normal cells and invented the Celandine alkaloid with a positive charge thanks to which it accumulates in cancer cells very fast. Thus, Dr. Nowicky is invited as an Honorable Speaker to take part in many scientific international congresses and conferences in USA, Australia, Japan, UAE, Europe. Author of over 300 scientific articles dedicated to cancer research. Dr. Wassil Nowicky is a real member of the New York Academy of Sciences, member of the European Union for applied immunology and of the American Association for scientific progress, honorary doctor of the Janka Kupala University in Hrodno, doctor “honoris causa” of the Open international university on complex medicine in Colombo, honorary member of the Austrian Society of a name od Albert Schweizer. He has received the award for merits of National guild of pharmasists of America. the award of Austrian Society of sanitary, hygiene and public health services and others. Clinical efficacy of NSC?631570 is not coincidental or even ‘spontaneous remission’ but rather a consequence of its mechanisms of action confirmed in various in vitro and in vivo studies. NSC?631570 has been tested on more than 100 cancer cell lines so far. Among others, NSC?631570 was tested at the National Cancer Institute (Bethesda, Maryland, USA) on 60 cell lines representing eight important human malignant tumors: brain tumors, ovarian, small cell and non?small lung cancer, colon cancer, kidney cancer, leukaemia and malignant melanoma. NSC?631570 exerted toxic effects against all these cell lines. Compared to 5?fluorouracil (5?FU) and gemcitabine, two standard cytotoxic agents in the treatment of digestive tract tumors, NSC?631570 achieved better results and not only inhibited the cell growth but reduced the cell mass, also. In 1998, a group around Anne Panzer (University of Pretoria, South Africa) proved the selective effect of NSC?631570 on molecular level. Tests on human cervical carcinoma cells HeLa, squamous cell carcinoma WHCO5 and normal equine lung cell lines demonstrated that NSC?631570 is selectively toxic against cancer cells. It causes a metaphase block which is characterized by an abnormal distribution of chromosomes and the formation of micronuclei and results in apoptosis. Normal cells are not influenced in the process. NSC?631570 was effective in the therapy of recurring lung diseases in children from the Chernobyl area.